Whether you're preparing personal taxes or small business taxes, completing it yourself can be a serious burden and put you at risk for missed deductions and credits. At Belbol & Associates, a local Oradell CPA Firm, we have tax professionals on staff committed to reducing your overall tax liability and maximizing tax deductions. Even the most popular tax software on the market can't compare to having an experienced tax professional overlooking your tax filings. With the ever-changing tax laws, working with a professional ensures that you're maximizing your tax refund and minimizing taxes paid. For small business owners, Belbol & Associates offers specialized services to meet the needs of both your business and personal income tax returns. We'll review your bookkeeping to reduce the risk of an IRS audit, prepare a full Schedule C for reported business income and file your personal income tax return, all in an effort to minimize tax liabilities and maximize your return. Our staff can also help you establish a reliable bookkeeping system to better organize your finances making running your business smoother and tax reporting more efficient. 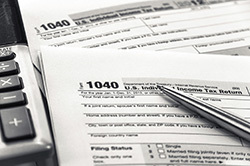 Want to learn more about our tax preparation services? Give us a call at 201-523-9442 to request your free tax consultation today!